One-stop shop for all of your beverage parts and equipment needs. The Ernest F. Mariani Company is a national Beverage Equipment and Supplies distributor who specializes in handing their customers the best parts and services for their machines. 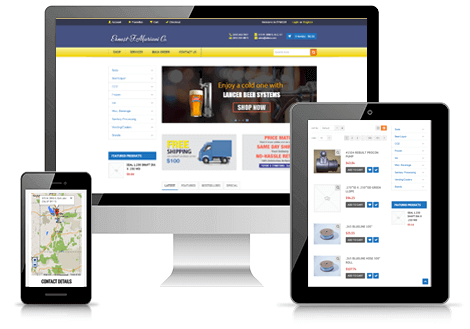 With our help, EFMCO.com is the most modern Beverage Equipment E-commerce site, which will have customers return time and time again for their beverage needs.